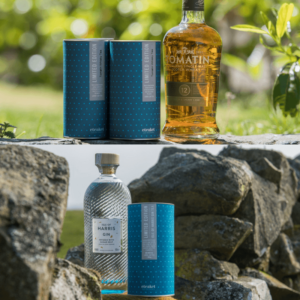 the eteaket moment set contains the finest selection of handmade Scottish items, allowing the recipient to create a special eteaket moment. The world is moving at an ever increasing pace and we’re connected (online most of the time!) now more than ever before. Sometimes we need a time out, a pause, a moment for ourselves. 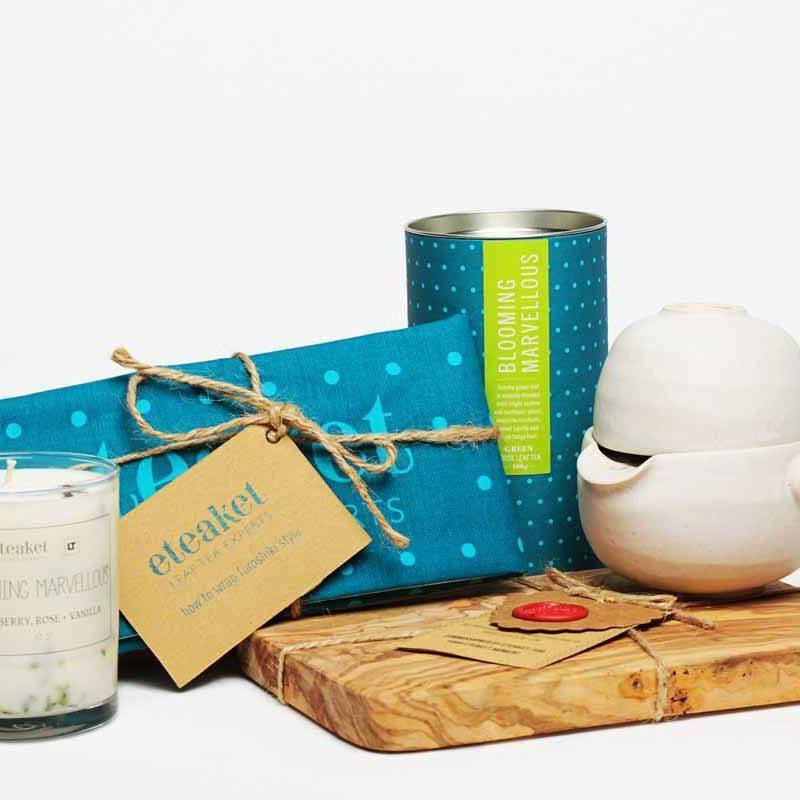 The eteaket Moment set brings the simple pleasure of proper tea, to be enjoyed anywhere. Working alongside talented artists, we’ve created this perfect eteaket moment, it includes everything you’ll need for your time-out bubble. bubble cup – The bubble cup was designed by eteaket and made by South Queensferry based potter, Ian Henderson. The unglazed clay steeping pot with cup lid allows you to enjoy your leaf tea whether you’re at your kitchen table, desk or field! tea board – each board is unique using only sustainable olive wood. Local artist, Federica Lucia Vinella specialises in pyrography. The tea board is the perfect base for setting up your eteaket moment, each one beautifully illustrated with our logo and special ‘e’ mark. furoshiki tea towel – Furoshiki is a type of traditional Japanese wrapping cloth. It’s the perfect way to ensure your bubble cup travels in one piece using our “Instant Human, Just Add Tea” tea towel. It includes instructions on how to wrap your bubble cup in the furoshiki style. Blooming Marvellous candle (8.5oz) – beautiful handmade, soy wax candle made by Laura Thomas Linens. Of course this isn’t just any candle. The candle contains our fabulous Blooming Marvellous Green tea, filling the room with raspberry, vanilla and Rose. Blooming Marvellous (100g) – what better loose leaf tea to enjoy in your bubble cup than our exquisite Blooming Marvellous green tea. 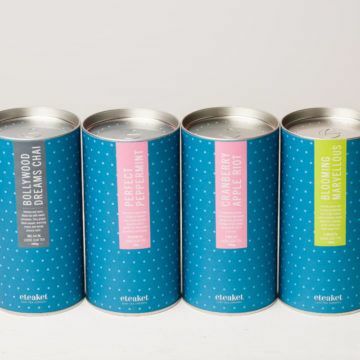 The eteaket moment set allows you to create your own personal bubble wherever you are so you can block out the outside world, switch off from social media or properly connect with friends. by ourselves, with friends. 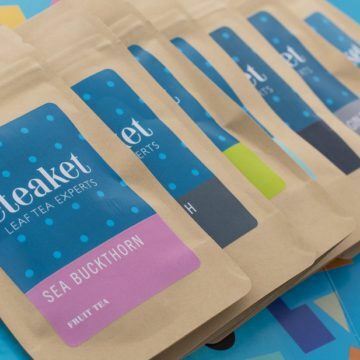 Make sure you take time to have an eteaket moment.